Should I come out to my parents and how do I do it? This is something only you can decide for yourself, and you need to consider a few things first. First think about your parents religious beliefs and views on homosexuality. It may give you some clues on how they will react. Then decide whether you really feel ready telling them, especially if their reaction may not be 100% positive. Contemplate your motive for coming out and if you are simply questioning or if you are sure. Be prepared for them to be angry or in denial – it is only natural for them to be surprised or upset at your decision. 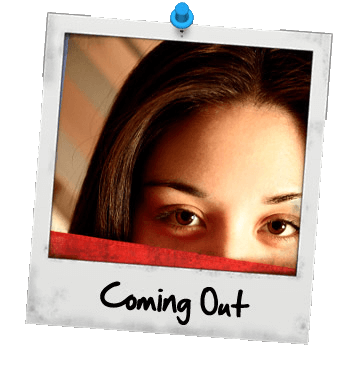 There are resources online such as chat groups, Web sites, and discussion boards where you can gain the support of teens who already came out. Speaking with a psychologist, psychiatrist or family doctor can help you talk to your parents. Don’t talk to your parent when they are busy with other things. Wait until you and your parent are just hanging out or going for a walk. If it seems like there is no good time, ask them if they can set aside time to talk to you. Know what you want to say. It won’t hurt to practice what you want to say with a close friend or write down the main points you want to address. Be prepared to give your parents some time to absorb the news. After the initial surprise wears off, many parents will come around and be more supportive.